As studies have shown microwave radiation is not safe at close range over long periods of time. These antennas are close to many homes, and extremely close to some of them. What they found was the antennas can send these strong signals up to seven or eight homes away before the signal begins to deteriorate. In other words, close range antennas, just as the FCC stated in their statement about 5G antennas. 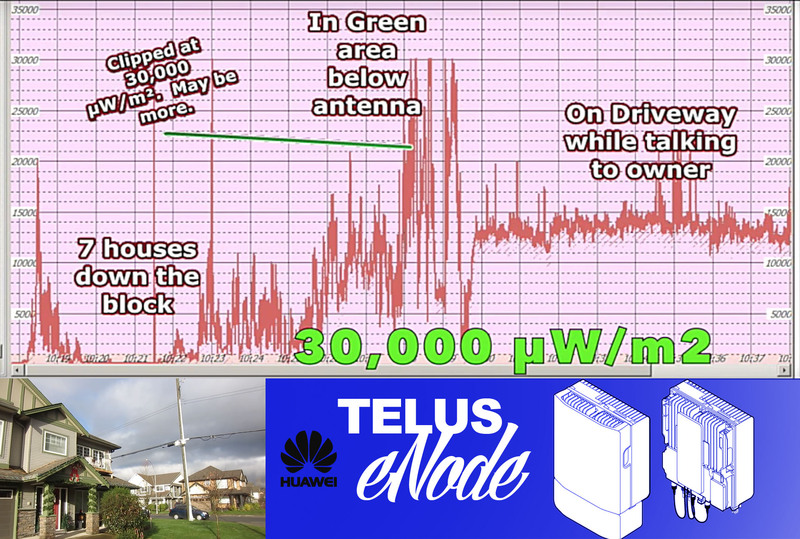 but at 20 feet close to a home the RF levels are up to 30,000 µW/m2. Even low levels of Radio Frequency Radiation (RFR) can have effects. Several members on Vancouver Island have been measuring levels at certain antennas over time. New record level from Small Cell Antenna 105.1000 mW/m2! 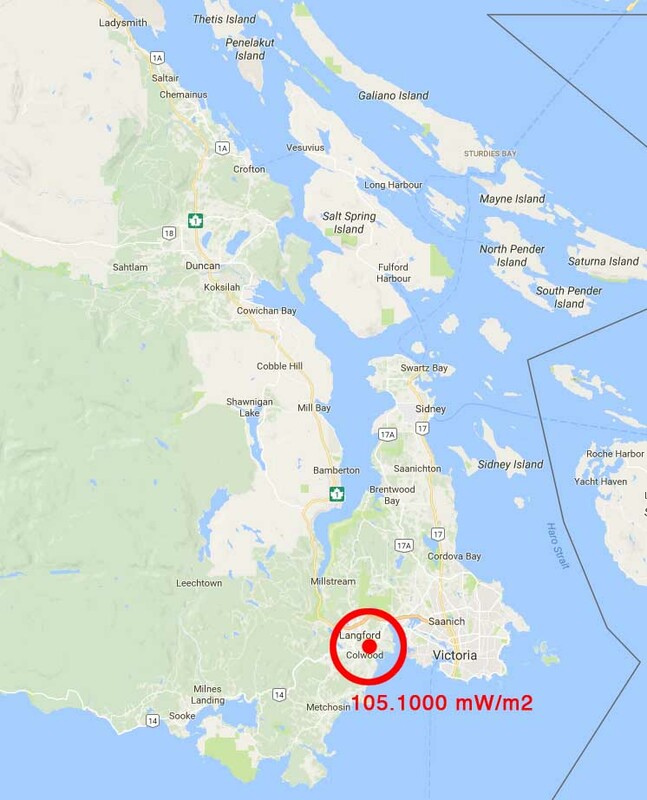 Actual RF microwave radiation measurement : 105.1000 mW/m2! 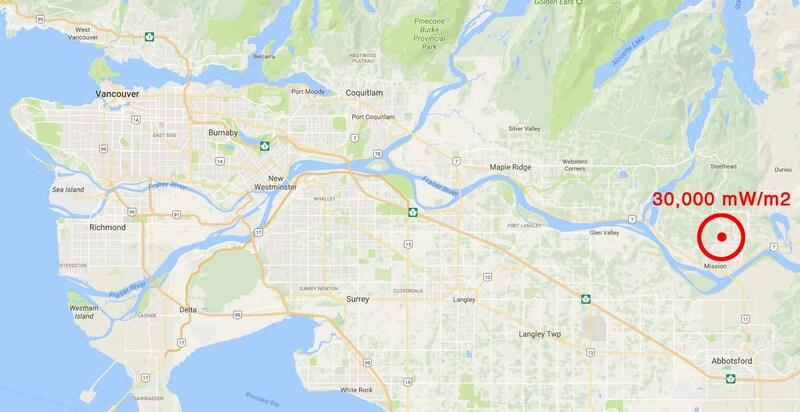 I did the above RFR measure on a house in Mission BC late last year. The 30,000 uW/m2 was the clipped value because MED setting only reads to 30,000 uW/m2. The reading was as the base of the pole. If we assume that the level of radiation in the direction of the antenna is greater than that at 90 deg to the side then my estimate of the radiation levels into the 2nd floor of the house were much greater than 30,000, possibly 80,000 to 100,000 uW/m2. I must visit the homeowner and get a new RFR measure inside the house. I do not want this in my neighbourhood. This is terrifying! How do we fight to stop this?